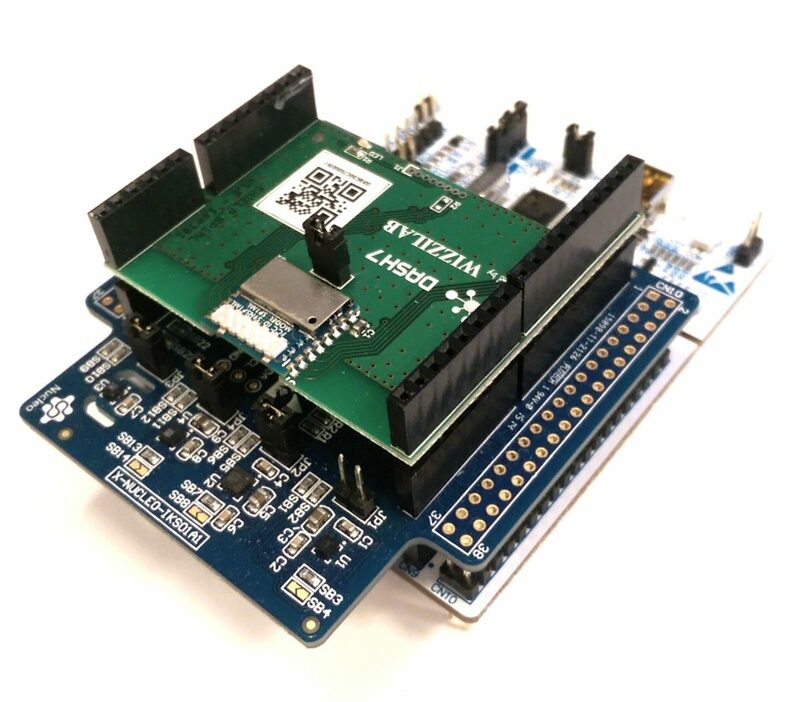 The WizziKit is a full Wireless Sensor-Actuator Network prototyping framework based on WizziLab hardware and open-source collaborative platforms. It is available both for the 868 MHz ISM band (Europe) and 915 MHz ISM band (Americas). Alternative setup for other regions can be provided upon request. 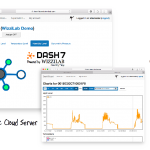 The WizziKit supports LoRaWAN and DASH7 network protocols. You can order the WizziKit on our online shop. Compatible shields (SH2050) feature a full LoRaWAN protocol stack. They are configured as Class A endpoints and are provisioned with keys for TTN. Sensor data is redirected to the dash7board. Downlink commands can be sent to the device both over the TTN LoRaWAN network or over the DASH7 network. The WizziKit allows the deployment of a D7A 1.1 star network composed of end nodes communicating with D7A-IP gateway(s). The kit gives you insight of what our D7A wireless technology can offer. You can add new end nodes and gateways to your network anytime. The embedded application can be developed using MBED. We provide an MBED driver for our D7A shields and example applications. Stay tuned for new available options and products on our shop. Our tiny SH2050 shield for Nucleo-32 includes a rich set of sensors – accelerometer, magnetic, light, humidity, pressure, temperature. Check the full description on our shop page. SH2050 feature a multimode protocol stack, including DASH7, DASH7 over LoRa and LoRaWAN. Our D7A Nucleo-64 shields can be stacked with sensor shields (example) on a Nucleo mother board. Nucleo-64 shields are based on the SH2030 modem (SP1ML). They feature a DASH7 protocol stack in a tiny modem with integrated antenna. The gateway is an MQTT broker. 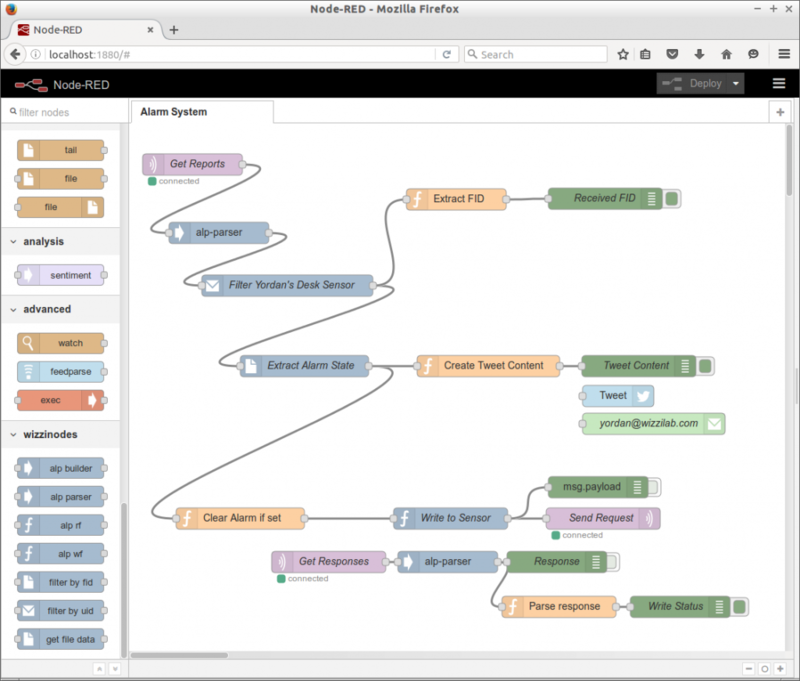 By default it is connected to a WizziKit Cloud Service, where you can set up your sensors, control your actuators and monitor reported data using a simple XML configuration framework. You can alternatively and independently connect your D7A network to your own private service over MQTT. We provide an open source .js library for D7A command building and parsing and a D7A functions suite for Node-RED. For more details on the setup procedures and example applications, you can consult our wiki. You can get more information on the hardware options on our online shop.